Can I feed Success® Rice to my dog or cat? Definitely, in fact Success® Rice is an excellent food choice for both healthy and sick dogs and cats. 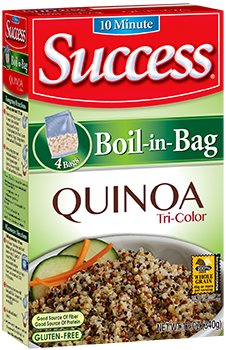 Do you make Success® Rice in a bigger bag? Our 32oz. Size has six family size bags (5.33 oz. each), which are 50% larger than the bags in our other cartons (3.5 oz each). Each family size bag makes about 3 cups cooked rice. 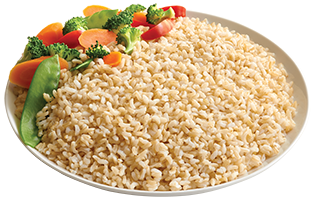 Is Success® Rice Kosher approved? Success® White and Brown Rice are Kosher approved by Star K.
YES! The Boil-in Bag is made of High Density Polyethylene (HDPE). Where can I get a coupon for Success® Rice?